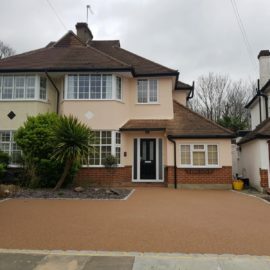 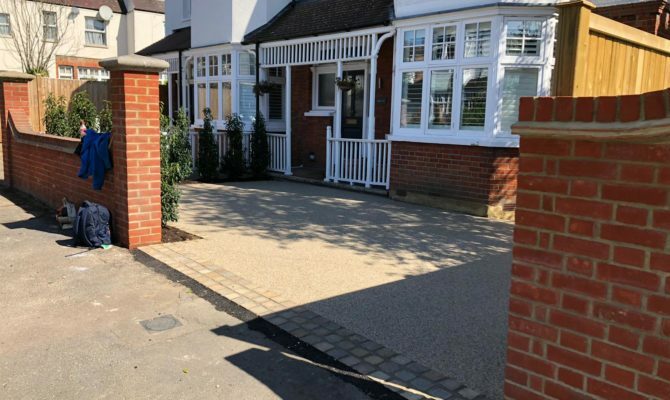 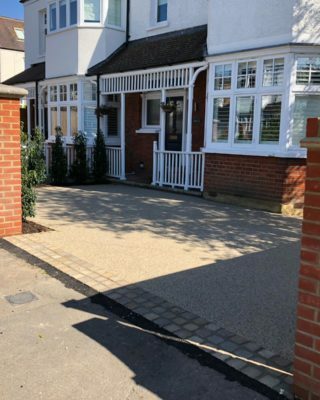 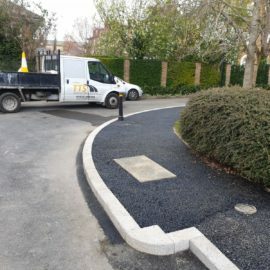 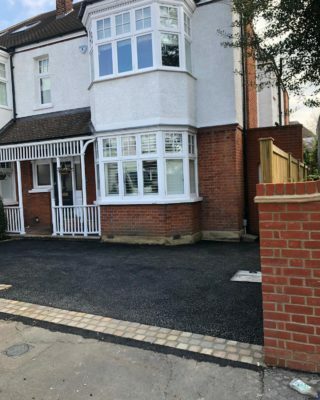 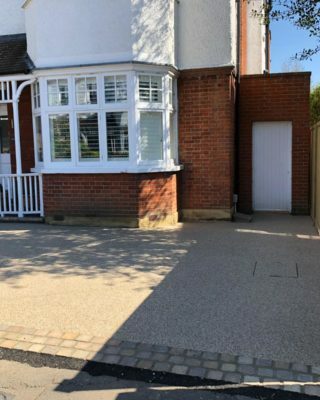 TTS Surfacing Limited carried out various works on this fabulous property in Wimbledon, Surrey with the driveway measuring 41m². 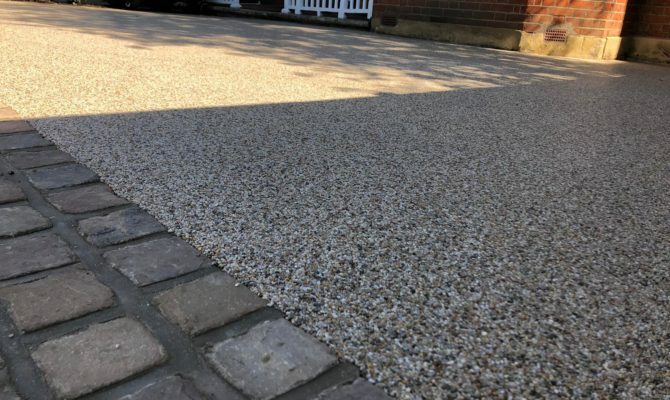 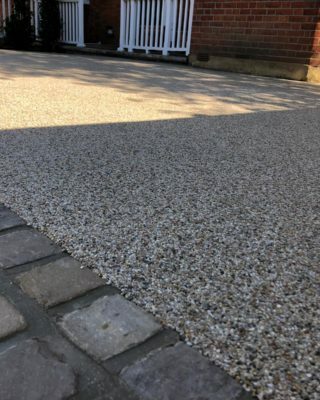 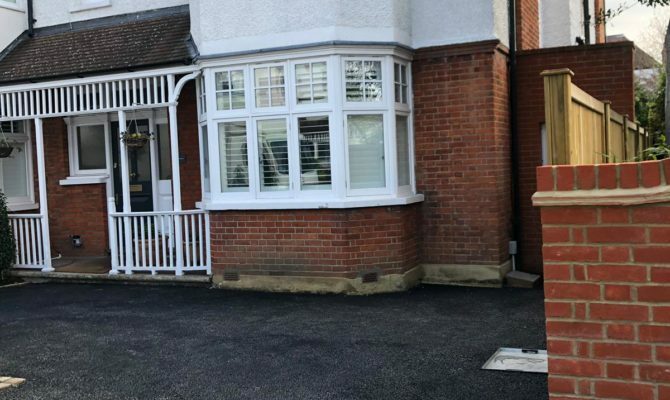 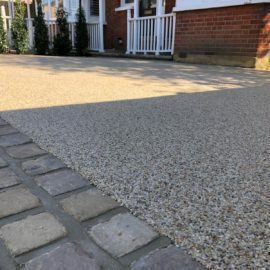 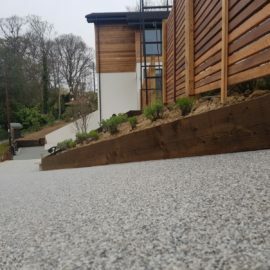 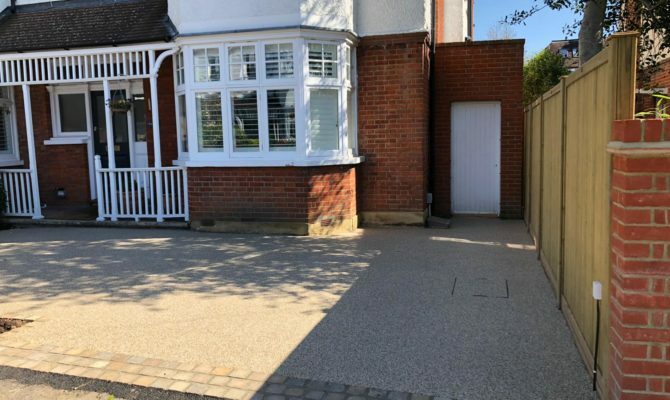 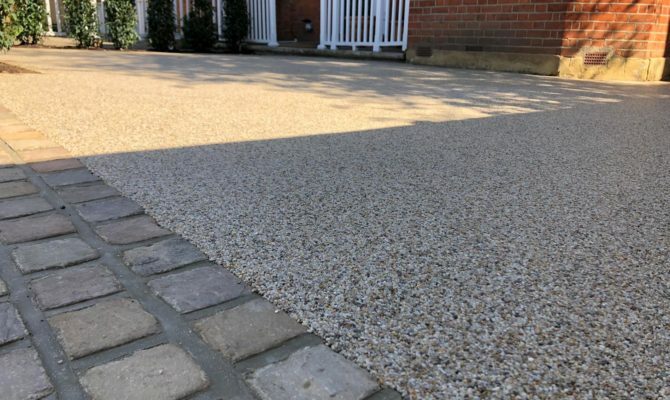 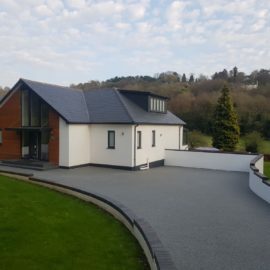 The finished driveway surface chosen was White Marble Resin Bound Driveway. 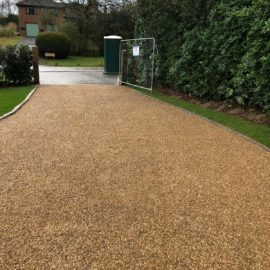 Driveway area = 41m² – Supply and lay 70mm of 14mm open graded wearing course macadam. 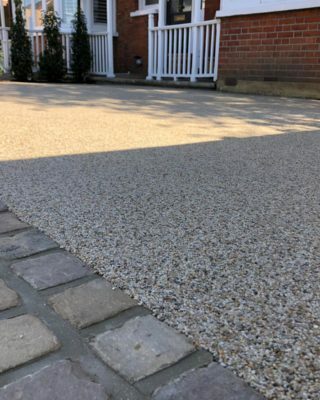 Supply and lay 18mm of White Marble resin bound wearing course.